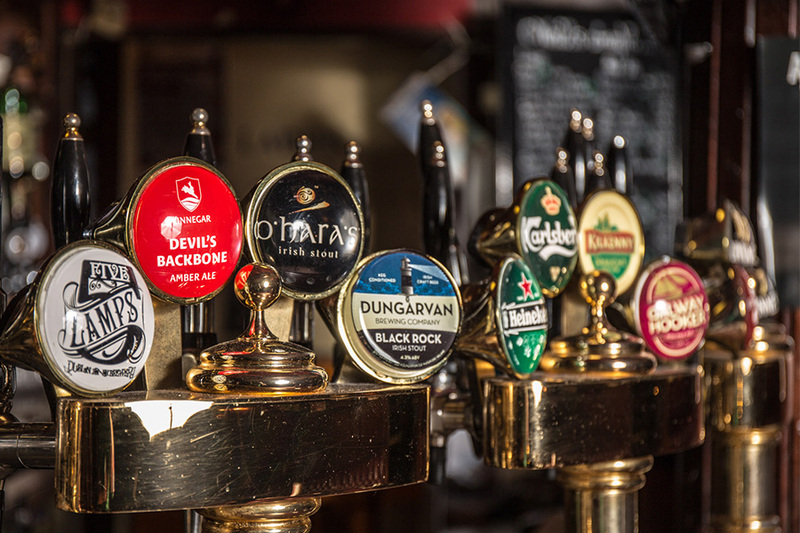 Our main bar has 45 beers on tap boasting several imported continental and American beers, including the largest selection of Irish Craft beers on draught in Ireland. Our whiskey collection is second to none, enjoying all the great names that have made Irish whiskey an art. Why not visit O’Neill’s Irish Whiskey Corner and indulge yourself in some art! 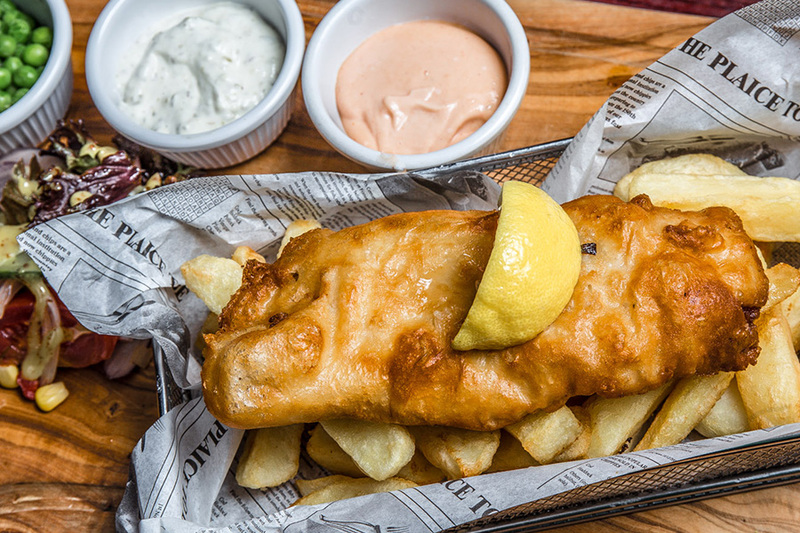 Eating at O’Neill’s is a delight, whether it’s a delicious breakfast, a selection of roast meats from our award-winning Carvery or something cooked to order from our all day menu. We have won awards on numerous occasions and are highly recommended by critics at home and abroad. Upstairs the stage creates a very intimate setting for the live Irish bands who entertain a vibrant crowd every night, at no extra charge. Bands from around Ireland will have you, tapping, clapping and maybe doing a little jig. Come early to secure your party a table. You wont miss a game! O’Neill’s patrons have always enjoyed their sports and we cater for all sports enthusiasts, with coverage of all major international and national sporting events on Plasma TV’s and a big screen. The Rugby Internationals are one of the favorites with patrons and visitors alike, especially the friendly rivalry of the Ireland/England games. For those who enjoy a cigarette or cigar with their favorite tipple or after a hearty dinner, O’Neill’s boasts a large roof-top Beer Garden and smoking area. Decorated in old smoking memorabilia, it’s cool in the summer and well heated in the winter and has a large plasma screen, so you won’t miss a minute of that game! 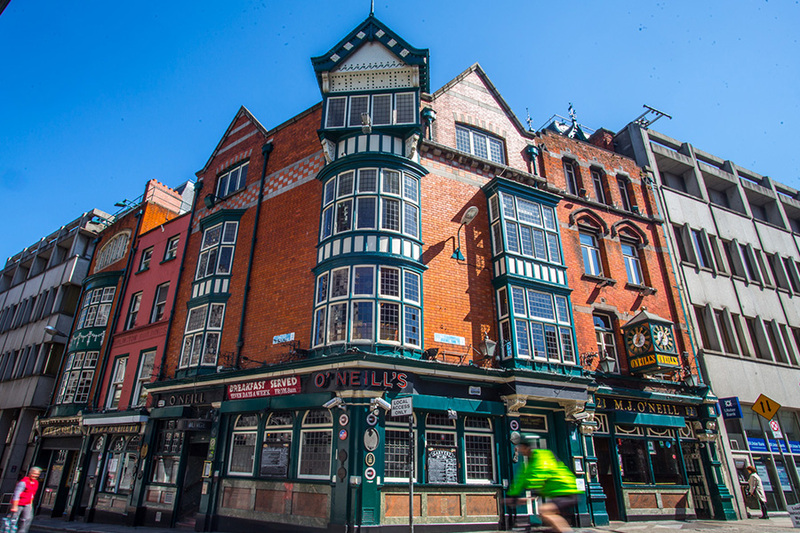 Within easy reach wherever you’re staying, whether you’re out for a days shopping in Grafton Street or enjoying some of our famous heritage, O’Neill’s is the perfect place for a spot of lunch or a night out with great music. We have welcomed customers for centuries. Give yourself a Dublin treat by coming to visit us.